It's a new month, and new things are showing up at the market. 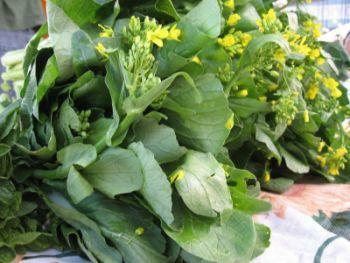 Rapini, raab, or sprouting broccoli, call it what you like, these early spring shoots burst forth with life from over-wintered brassica crops to delight our taste buds with all the sweetness stored up through the colder months. Seek these out from Persephone Farm, Stoneboat Farm, and Sweet Leaf Farm while they are in season. Have you been lacking lavender in your life? Needing to restock the pantry with jam, nut butter, bitters, and hot sauce? Revamping your garden into a pollinator oasis? Wait no more, because returning to market after several weeks to months away are Bliss Nut Butters, Dancing Light Ranch, Plum Tree Jam, Portland Bitter Project, Swarm Portland, and Wet Wizard Sauce Company. 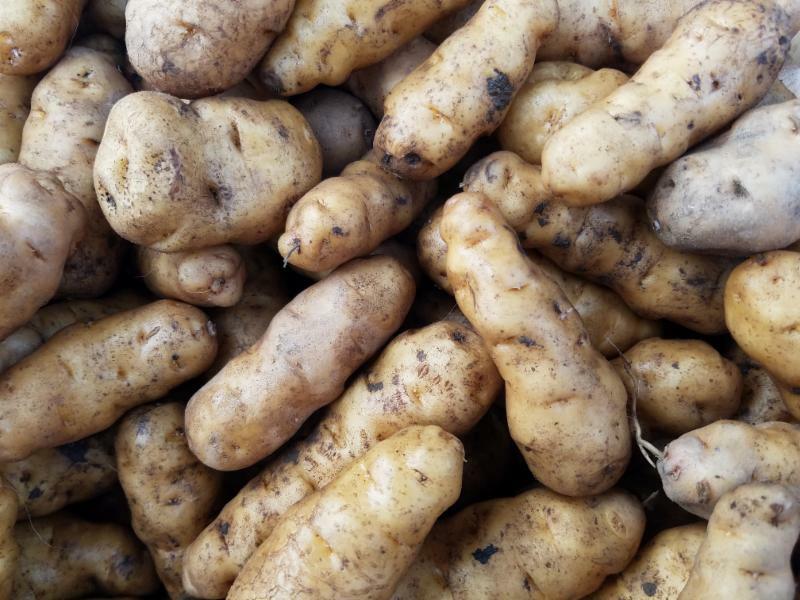 This Saturday only come taste, check out, and buy beautiful Makah Ozette potatoes from Joann Reckling of Tranquil Farms. She'll be sharing booth space with Gales Meadow Farm, cooking up samples of the Slow Food Ark of Taste variety for tasting, and selling the tubers for both eating and seed planting. Hot Mama Salsa is going into their sixth year bringing delicious fresh salsas, hot sauce, and chili oil to the Hollywood Farmers Market. Check out this profile by HFM volunteer Emilie Woods to learn more about them and their founder Nikki Guerrero! 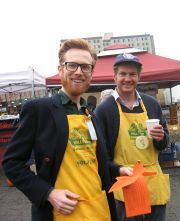 Interested in volunteering at the Hollywood Farmers Market this season? Come out to our annual Volunteer Orientation on Saturday, March 31st from 10am to 11:30 am, at the Rose City Park Presbyterian Church at 1907 NE 45th Ave. 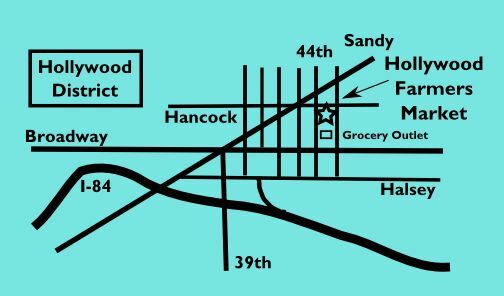 If you'd like more information, or if you're interested in volunteering but can't make it to the orientation, contact Ari Rosner at 503-803-7279 or ari@hollywoodfarmersmarket.org.